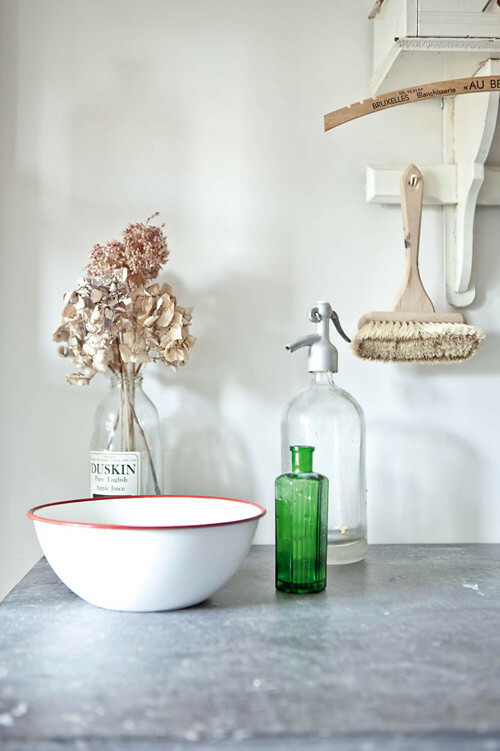 I came across the darling home of Justine Glanfield last year - she is the founder of Cotton & Milk in England - and have been saving it for months in a file to eventually share on decor8. 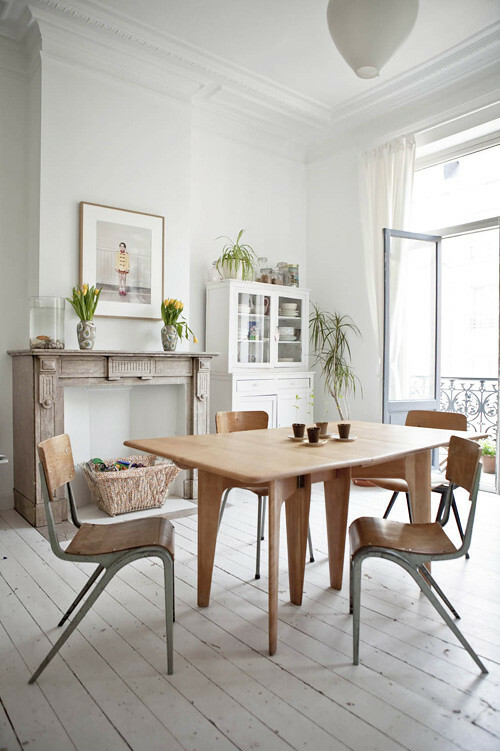 When I found photos of the home on the MILK website today I knew to couldn't wait any longer so please see their site for a complete home tour featuring her wonderful 5 story home. My favorite glimpses are below. 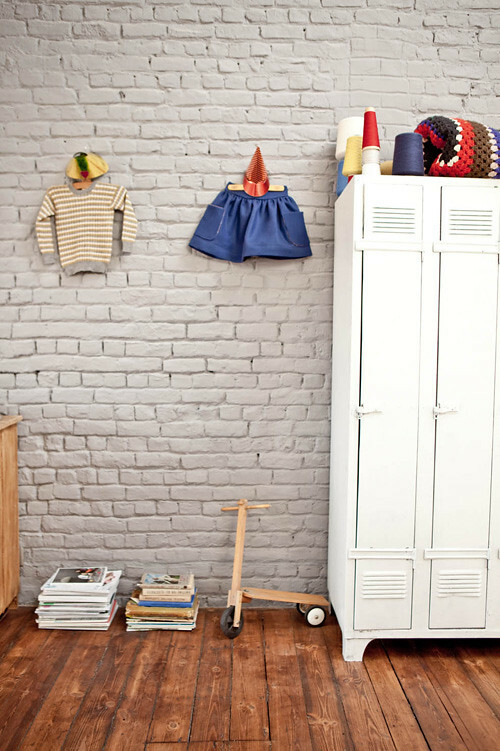 I like the many different surfaces and walls in this home - painted, brick, different types of wood, stains, it's lovely! A gorgeous olive green vintage leather tufted sofa! A mouthful to say and an eyeful to behold. 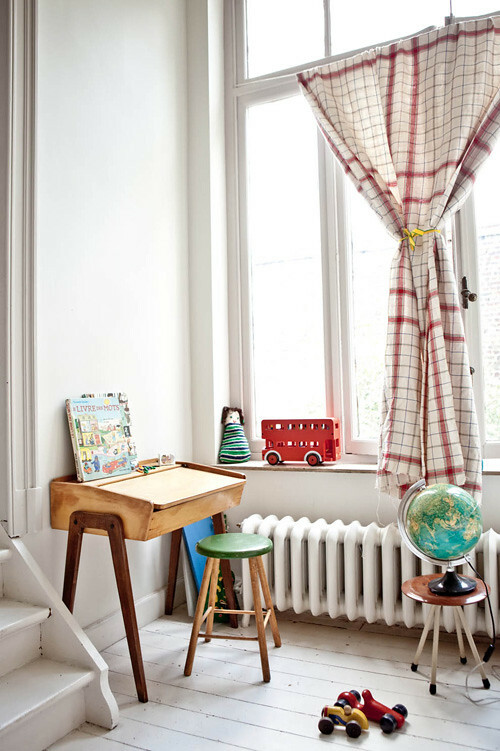 Love the idea of using a former fireplace as a bookcase. 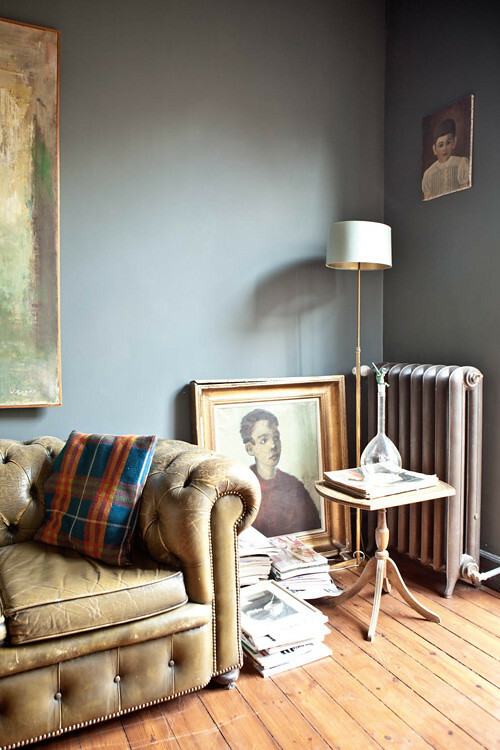 Based in Brussels, this English designer lives there with her son and partner and has such a gorgeously personal decorating style that seems so considered and yet full of detail while remaining simple and understated. What a beautiful, delicate balance to acheive! 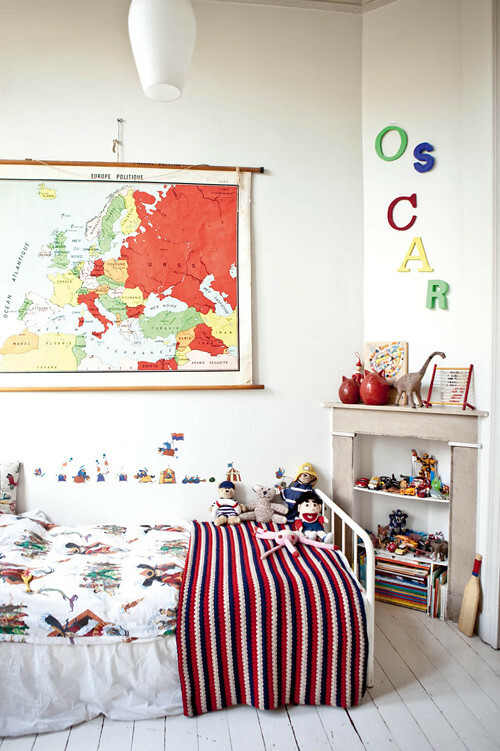 Her dining room and son Oscar's bedroom are my favorite spots and I adore everything that I see. So sweet and harmonious!